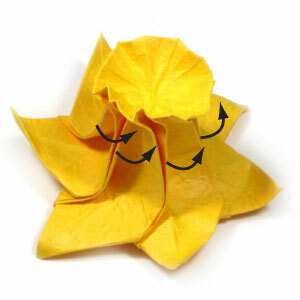 This is the perspective view of the origami daffodil flower model. Prepare to rotate all six shells in the counter-clockwise direction. 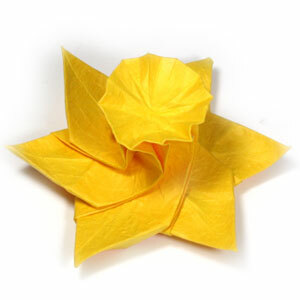 This will lower the height of the origami daffodil flower. Rotate all six shells in the counter-clockwise direction according to the step #45.